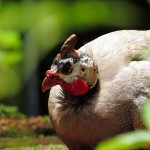 Besides temples, waterfalls and captivating scenic landscapes, Bali in Indonesia is a great place for animal lovers too. 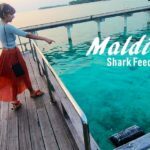 Bali wildlife experiences allow visitors get up-close and personal with some incredible creatures. Hi, It’s Sarita & Kamal. 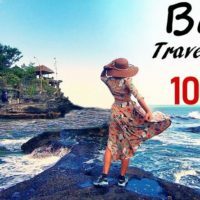 Welcome to Bali Travel Series In this post/video we are gonna take you on a tour to the famous Ubud Monkey Forest and give you a glimpse into what the sanctuary has to offer and how to make the most out of your trip to this place. 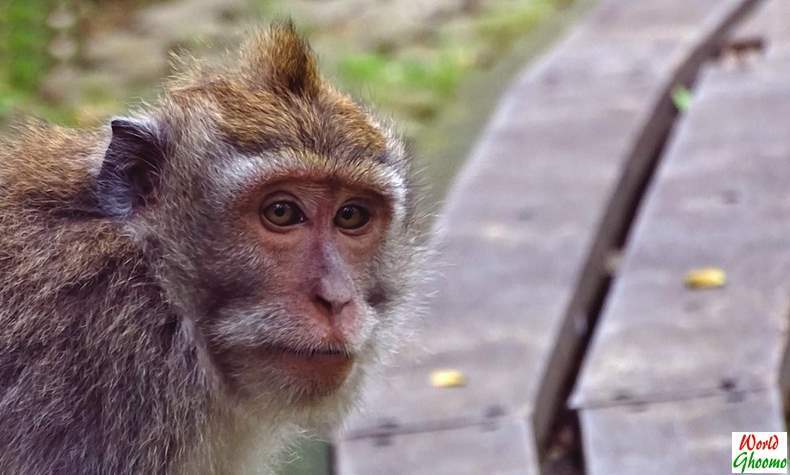 There are more than 700 monkeys who freely run around, fight, play, jump and eat all over the forest. 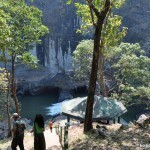 Rangers throughout the park ensure guest are safe. However, it’s very important to pay attention to the rules to avoid getting into any any trouble. 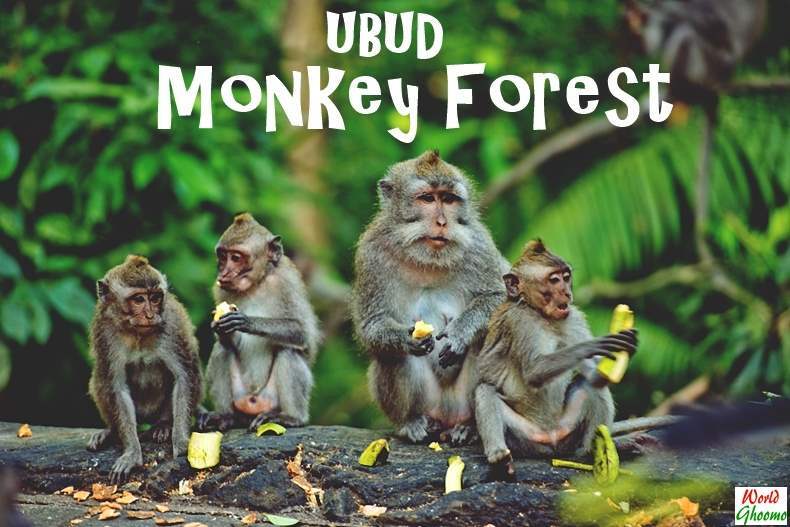 The Ubud Monkey Forest has over 180 species of plants in 12.5 hectares of forest. 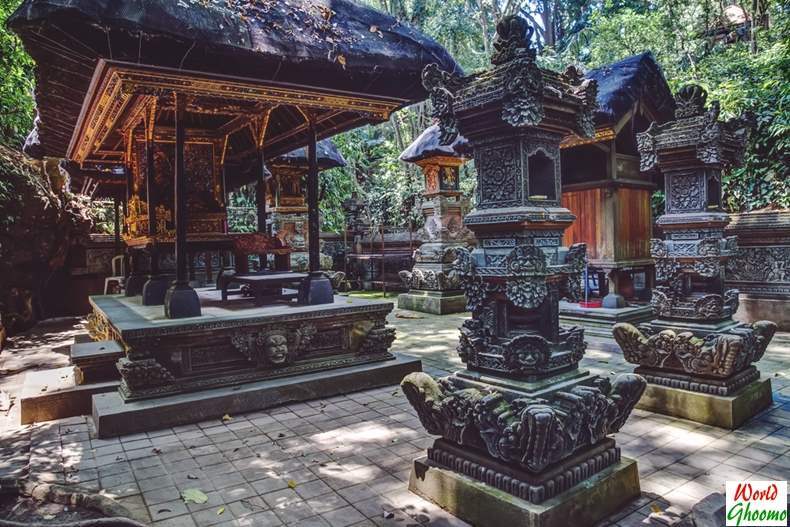 Some of these trees are considered holy and are used in various Balinese spiritual practices. 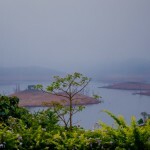 Huge Banyan trees dominate the landscape and the lush greenery keeps the atmosphere cool. 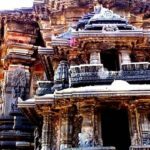 One cannot miss the carved stone structures and sculptures scattered throughout the sanctuary. 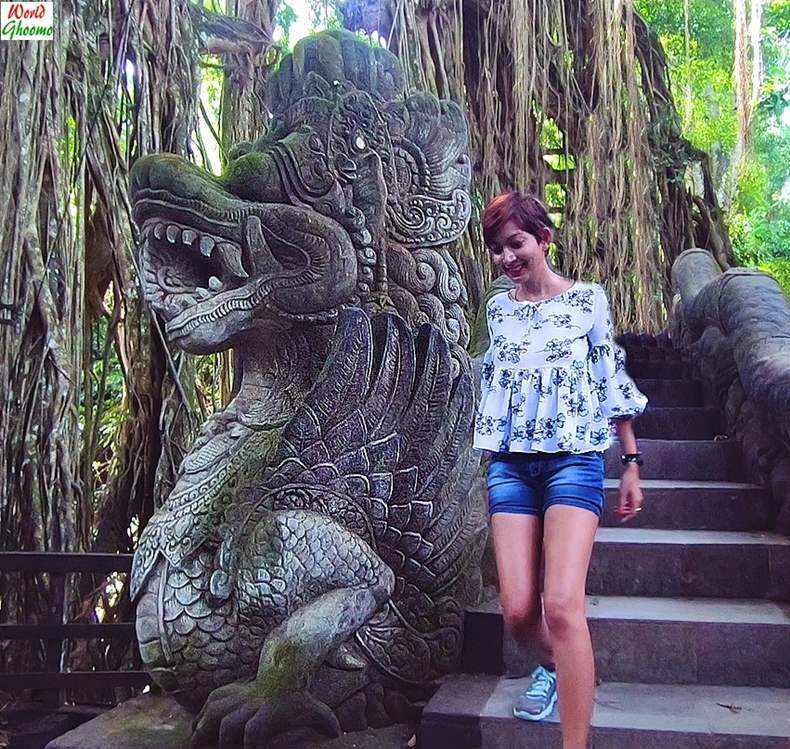 The forest has over 100 of sculptures and carvings depicting creatures from Balinese mythology including komodo dragons, monkeys and gods. 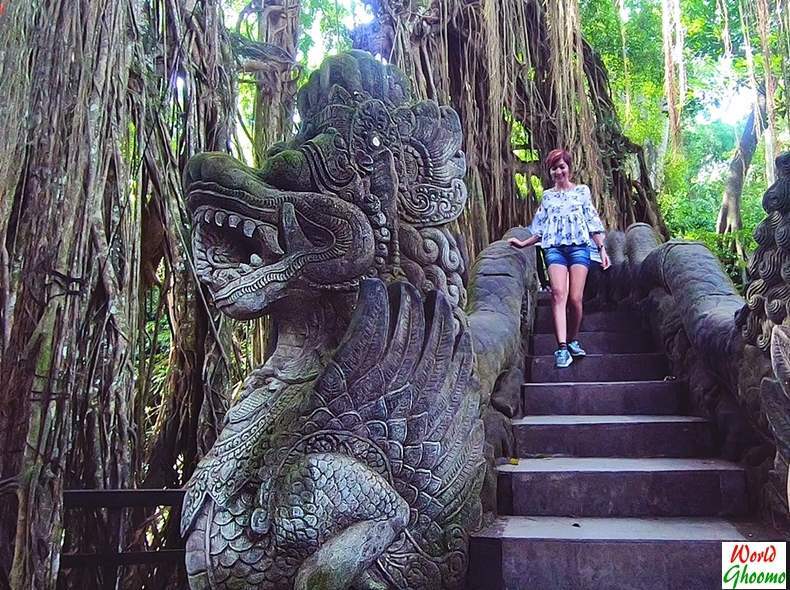 In addition, it also houses an old Dragon Bridge surrounded by an old banyan tree. 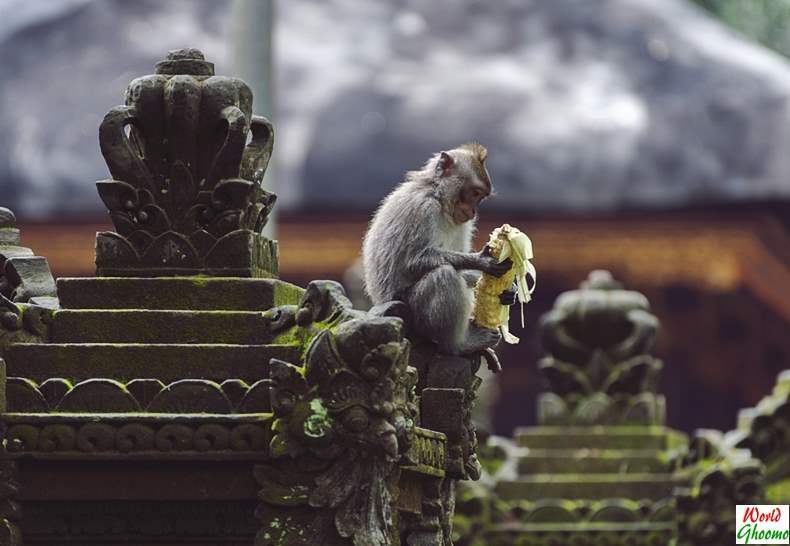 There are three temples within the Sacred Monkey Forest Sanctuary used for Balinese ceremonies. 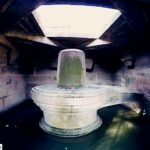 These temples are usually prohibited for the public and is only for prayer community. 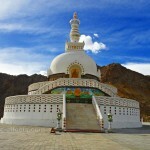 Visitors can see the temple from the outside of temple area. 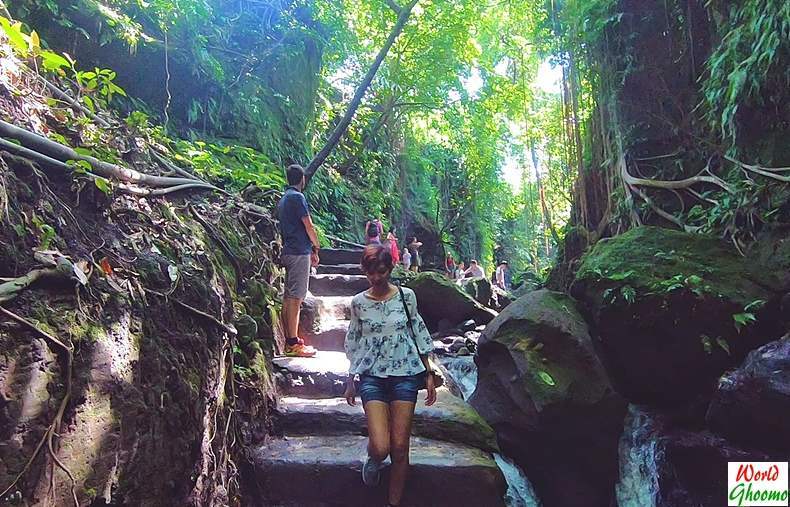 A deep ravine that runs through the Ubud Monkey Forest, at the bottom of which flows a rocky stream. Walking along the stream would be refreshing. 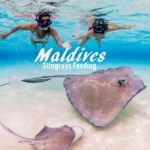 While there is nothing much to do, you can click some stunning pictures with water in the backdrop. 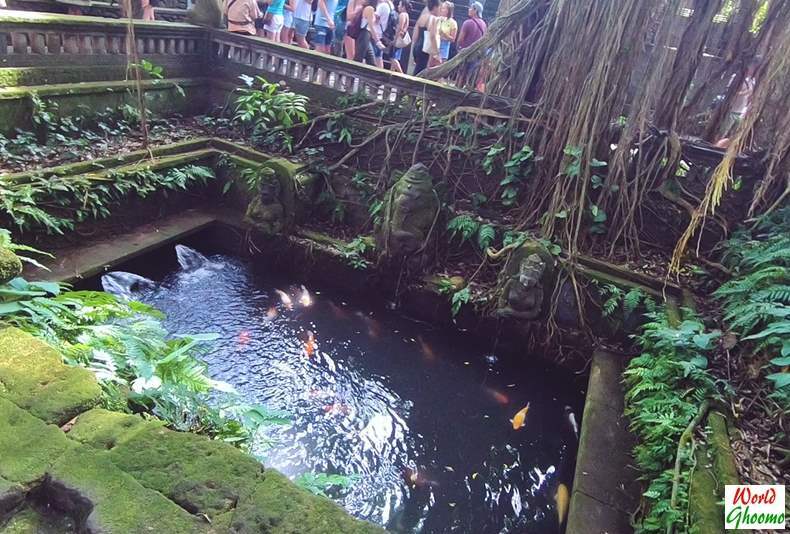 Besides the Gorge, a number of ponds with colorful fishes further enhance the beauty of Ubud Monkey forest. 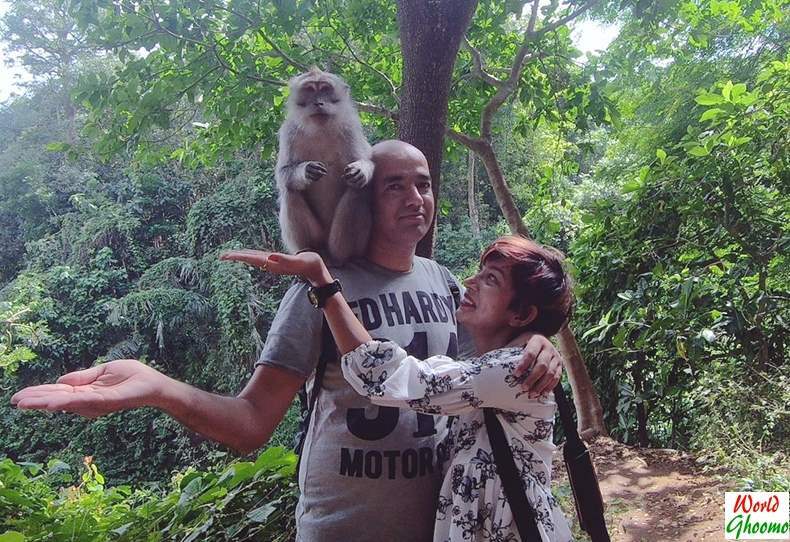 The forest offers a plenty of spots where visitors can sit can watch the monkeys and admire the lush greenery. 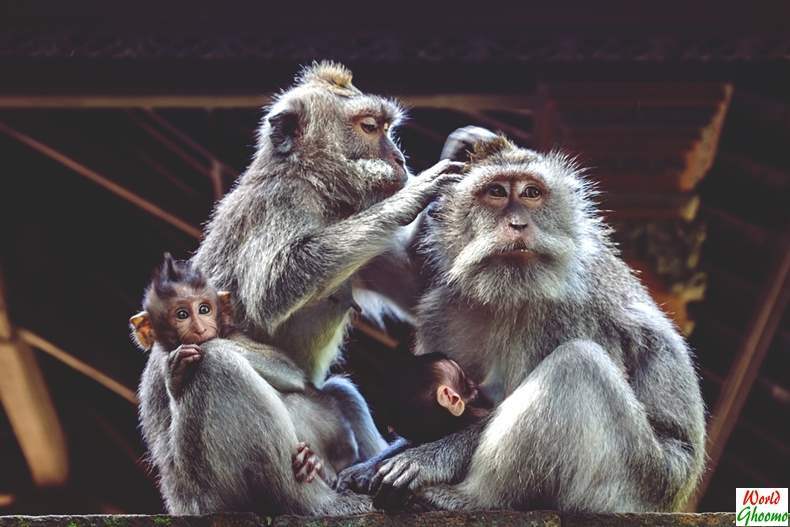 The Ubud Monkey Forest seeks to make people live harmoniously with a philosophical goal of creating harmonious relationships between humans and humans, humans and their environment, and humans with The Supreme God. 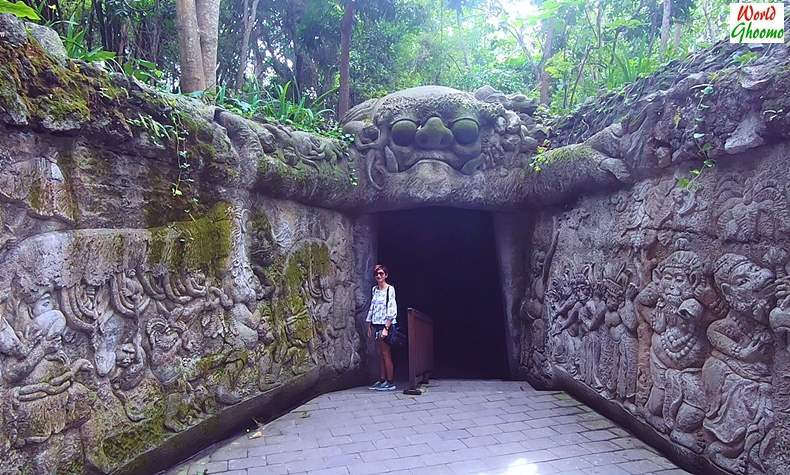 A must Visit Visit place in Ubud, Bali to experience the harmony. Please read and follow the “Monkey Forest Tips” placed around the complex. 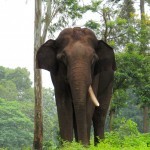 Treat the plants, animals and other structures within the forest with great respect. 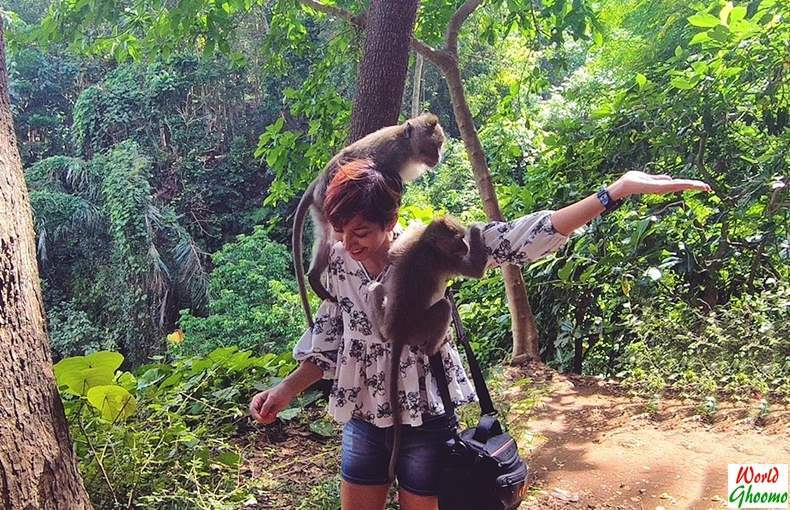 Don’t feed the monkeys on your own and be careful about your belongings. Seek first aid assistance available within the forest in-case you get a scratch or get bitten by a monkey. 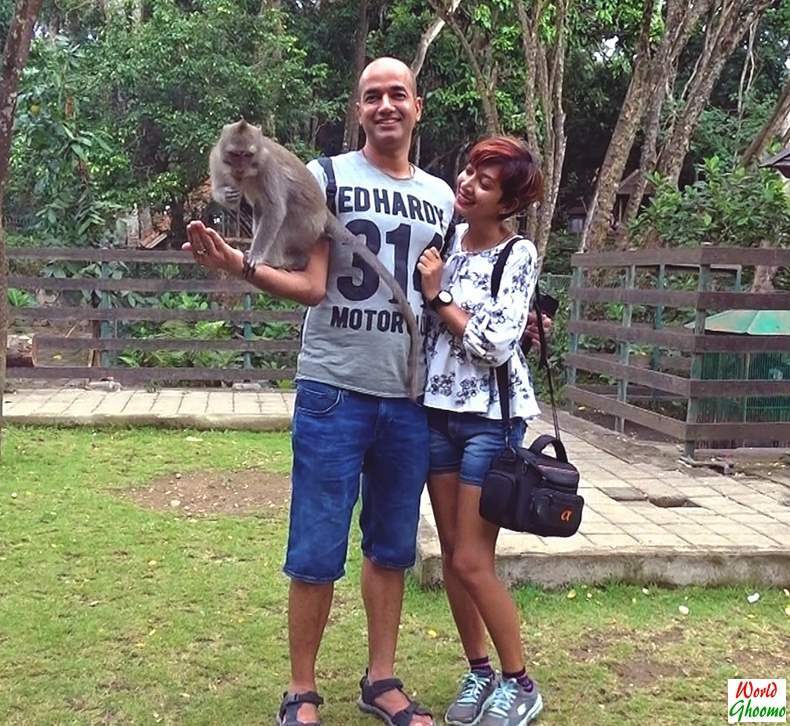 For photographs with monkeys, seek assistance and don’t attempt any physical contact with the monkeys on your own. 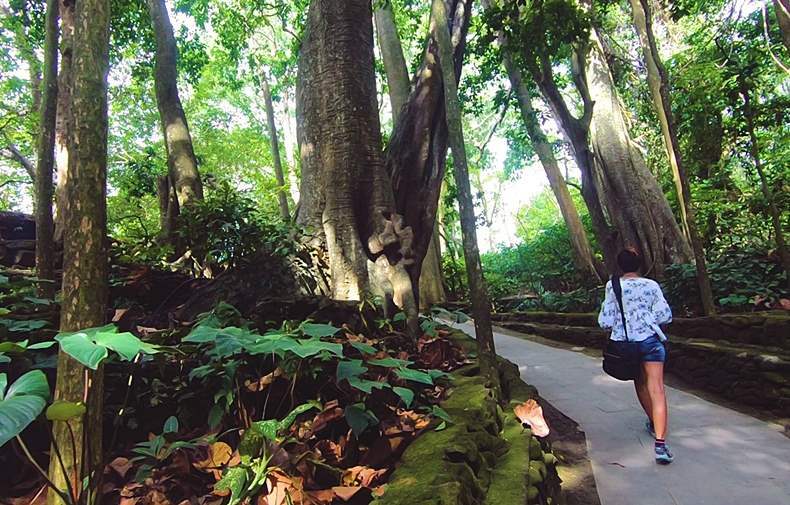 Better don’t get your infants and toddlers to Monkey Forest.